I can only assume that the idea here was to pull in a broader audience than a Dead Rising game would otherwise receive. There are a lot of things about Dead Rising 4 that feel as if they’re there to copy some feature from another popular franchise, or because some producer was trying to mimic what he saw as market trends. As always happens with something like this, it’s like dumping a gallon of extra water into your soup. 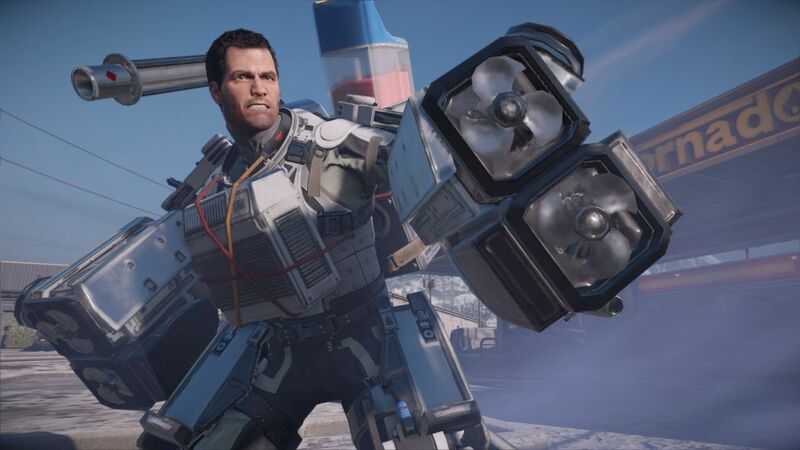 Dead Rising 4 is, above all else, surprisingly bland, and that’s not something I ever thought I’d be able to say about a game that’s largely about running over zombies in a tractor. It doesn’t feel like an entry in its series, but like some kind of Dead Rising-themed expansion for a different franchise altogether. 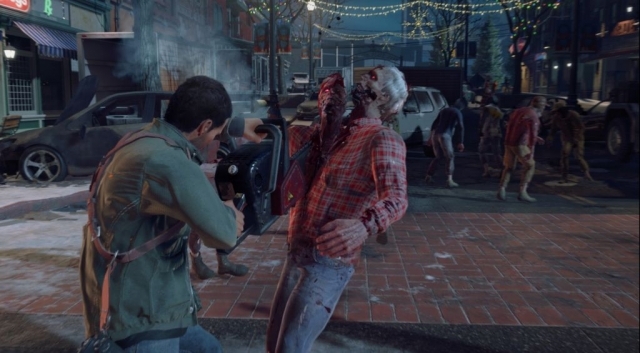 Dead Rising, up until DR3, was characterized by two big factors. One was its challenge; the other was the timer. Playing either of the first two games is a tense experience, even once you’re at the level cap, because you’re always aware that the clock is running out. 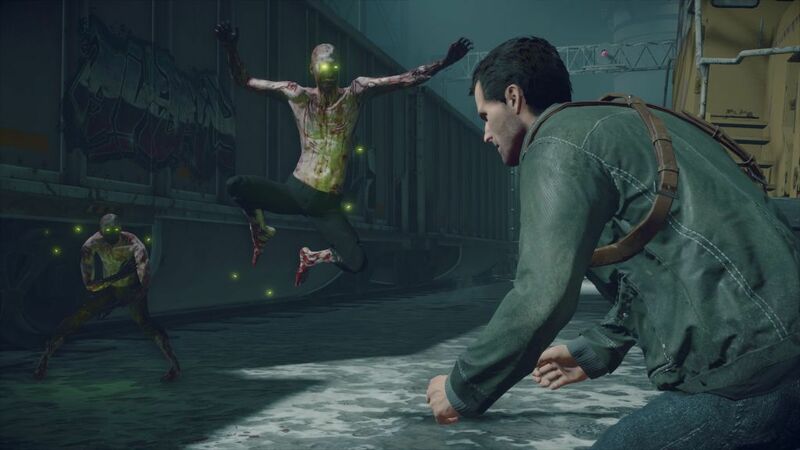 You only have a few hours in real time to do everything you want, and before long, the zombies are little more than a distraction from your mad dash across the map to save a survivor, fight a boss, or investigate a lead. At the same time, human opponents present a serious threat, particularly the series’ trademark psychopaths. If you blundered into a fight with one of them unprepared, and several of them were deliberate surprises, you were probably dead. 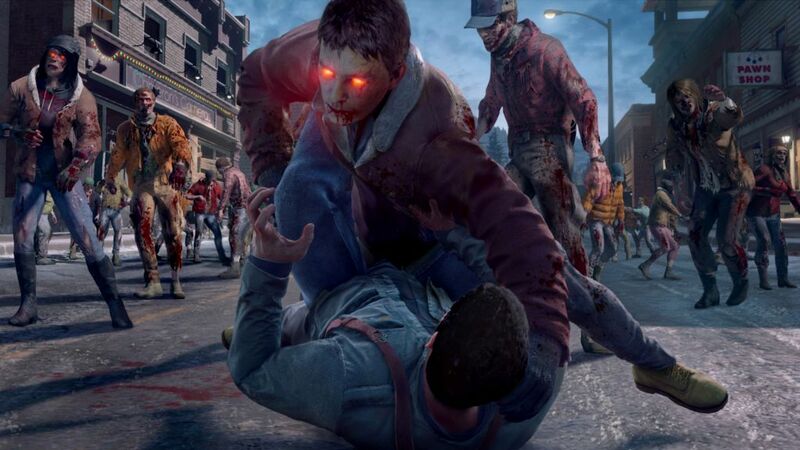 Dead Rising 3 was considerably easier, since Nick had access to more powerful and more customizable abilities as he leveled up. On its standard difficulty, its timer was more like a legacy feature than something you actually had to pay attention to, and you spent a lot of your time driving around the map anyway. 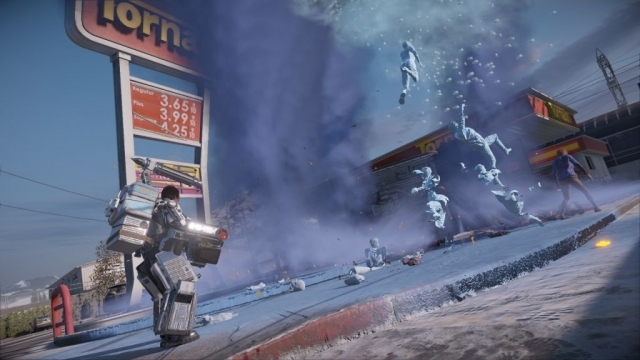 Dead Rising 4 takes the next step, and removes both the timer and what’s left of the challenge. You can explore the game to your heart’s content, although it takes a while before you can reach every part of town, and every mission will quietly wait for you until you get there. If you do stumble across a boss fight, the bosses are clearly labeled and surrounded by useful supplies. Most of them obey the same simple pattern: he or she sends a wave or two of similarly-dressed human enemies to attack you, and when you plow through them, the boss comes after you with a combo weapon. They have no gimmicks, no unique attack routines, and no real thematic significance, while also somehow being even stupider than DR2‘s were. They’re just a crazy person in a funny outfit with a large amount of health. The end. 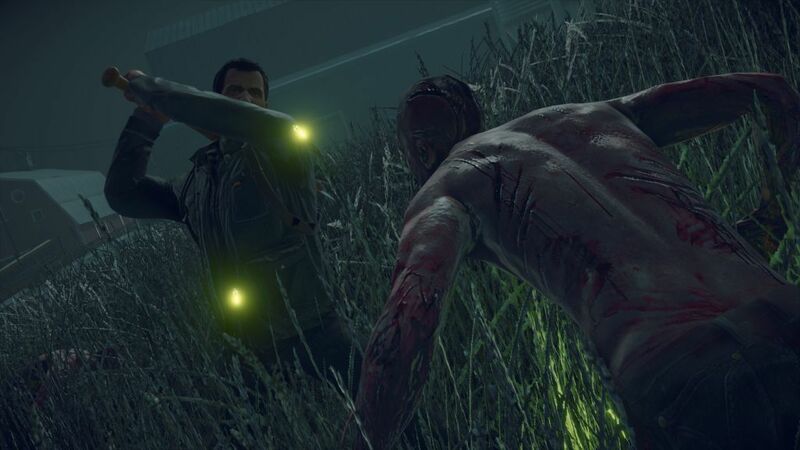 DR4 also features the return of Frank West, the popular protagonist of the first game. At the same time, however, they recast his voice actor and dramatically rewrote his character, which undercuts much of the point of bringing Frank back to begin with. This is a much older Frank West, fifteen years and multiple zombie outbreaks later, whose entire life is an instruction manual on how not to deal with post-traumatic stress, and who goes well out of his way to make himself hard to like. Frank’s not a bad character, even now, but a lot of what made him popular in the first place has been lost in the transition. It doesn’t help that the game really wants to throw as much Frank at you as your poor eyes can stand. He spends the game constantly quipping and articulating his inner monologue, to the point where the NPCs notice him doing it. For a game built around the idea that the player is already a fan of Frank, the writers are working way too hard to try to put him over. It was one of the primary flaws of DR2: Off the Record, and it’s still the case here. You can assemble combo weapons just as in the last few games, but DR4‘s are significantly more powerful and available than they need to be. You get one of the single best melee weapons in the game during the tutorial level, and before you leave the mall, you’ll probably find the blueprints to build one of the combo guns. Once you know how to make a Holey Terror or Ion Cannon, the game is effectively over; either gun can drop a human opponent in a single hit, and even the game’s sad excuses for psychopaths can’t handle more than four or five. You could simply avoid using combo weapons at all, but unmodified melee weapons in this game are virtually useless. Given a choice between boredom and frustration, I’ll pick the former every single time. Another big feature in this game is the inclusion of Exo Suits, which let you throw on a powered exoskeleton and run around with super strength for a while. Frankly, combo weapons make Exo Suits unnecessary; there’s no real difference between a Frank in an Exo Suit and a Frank who’s using one of the better combo weapons, such as the Blast from the Past. It’s always obnoxious when the game forces you into an Exo Suit, and they could have been left out of the game entirely without any real effect. There are a half-dozen other, smaller complaints to make. The version of the game I played is glitchy as hell, but I’m assuming at the time of this writing that there’ll be a day-one patch that addresses at least some of the bugs; Frank sometimes goes completely unresponsive for a few seconds, zombies are prone to spawning inside walls, and everything surrounding survivor rescue doesn’t quite work right. DR4 also leans heavily on the franchise’s continuity, to the point where most of the music in the game is either Christmas carols or recognizable original tracks from past games. For example, when you reach a pool hall in Willamette, its jukebox is playing “Firewater,” Chuck’s boss theme from Off the Record, and several shops in the mall are using the DR2 pause music. It feels vaguely cheap. You can collect scrap as currency, which drops from anything you can defeat, open, or destroy in the world, but most of what you can buy with it is something you can already pick up somewhere else. You could buy fresh weapons, food, or vehicles from a vendor in one of the safe houses, or simply leave and find all of those things lying around the world for free; aside from a few skill books and blueprints, there’s nothing that’s unique to the vendors. All they offer is convenience, which is an odd thing to have in the midst of a zombie apocalypse, and the vendors themselves are generic survivor models with no personality. The skill system is almost pointless, as most of the upgrades are incremental at best. You could go for most of the game without spending a single skill point and you wouldn’t really notice until the final chapter, at which point you’d do well to bump up Frank’s stamina a bit. Frank already starts the game with an insane amount of health and the ability to instantly scarf down any bit of food in the game, regardless of what it is, for a 40% heal. The only things that really pose a threat to him are human enemies with guns, and if you’re carrying a gun of your own, let alone a combo weapon, they’ll be dead before they can really get going. DR4 shares another problem with DR3, which is the general dissonance of tone. DR4‘s Williamette is the site of an ongoing disaster where thousands of people have died violently, and every location you visit is a reminder of that. The mall and streets are strewn with gnawed corpses, many storefronts are barricaded against intrusion, every location looks like it was hastily abandoned, and 90% of the people you run into are either hostile mercenaries or insane masked cultists. As you explore, you can find areas that have been converted into boltholes for desperate survivors, almost none of whom you will reach in time to save. It’s the same sort of darkness that characterized DR3, but the designers attempt to cover it up with brighter colors and slightly sillier locations. It doesn’t work, especially in conjunction with Frank’s smart-aleck running commentary, and especially once you leave the mall. They’d have done better to do what the original game did, and play things almost straight, while leaving it up to the player to ruin the mood by wearing silly outfits. I’ll say this much for DR4, though: it’s got a big map that’s fun to explore, and a wide variety of combo weapons, some of which do have to be seen to be believed. (I do think they’re moving too far away from the idea of improvised homebrew weapons, though; some of the combos in this game are flat-out magic.) 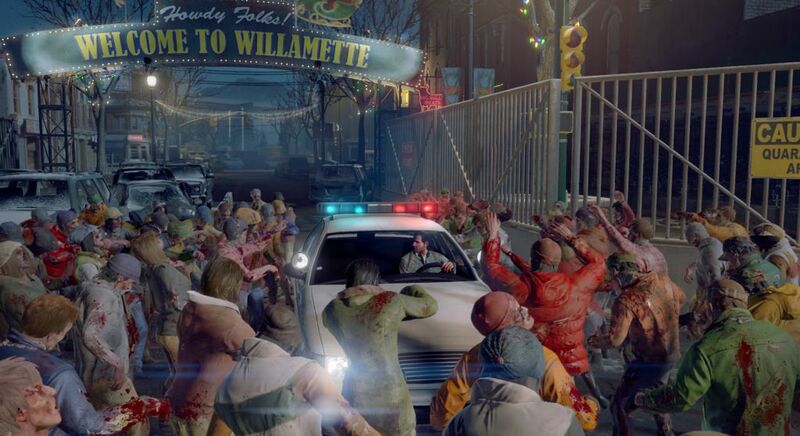 It’s amusing to experiment with new combos and vehicles, and to bomb around a massive mall and the small town outside it, all while murdering thousands of zombies. I liked the story missions, which nicely humanize both Frank and his student Vick; I even liked Brad Park, who was the last character from DR3 who I ever expected to see again, and who’s stuck in the role of Frank’s long-suffering mission control. One feature I really appreciate, although it holds your hand a bit too much, is when Frank has to investigate a location. 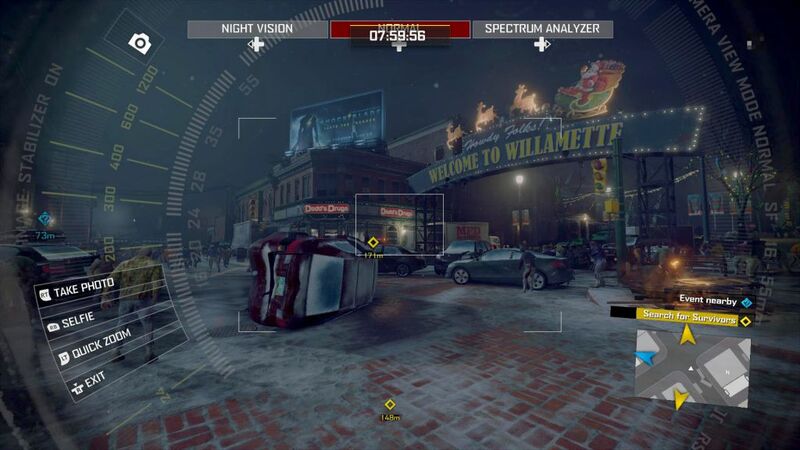 By scanning an area for clues with his camera, you can gather information that Frank uses to deduce what’s happening or figure out his next move. While it’s occasionally obnoxious when you can’t figure out the incredibly specific angle at which you’re supposed to photograph something to proceed, it’s still a nicely organic way to convey plot to the player. I also like that most of the game’s collectibles are used to tell a bunch of smaller stories or fill in background details, which furthers the theme that Frank is here to conduct an investigation, rather than simply trying to escape. The multiplayer mode is bare-bones, but is better than I was expecting. You play as one of four incidental characters from the story mode, carrying out one of a random series of missions in the mall in order to make room for the surviving citizens of the town. None of the missions are particularly complex, but the multiplayer mode moves a lot faster than the story mode does, which gives you much less time to plan or stockpile resources. There isn’t enough variety, but it’s a fun diversion for a while. 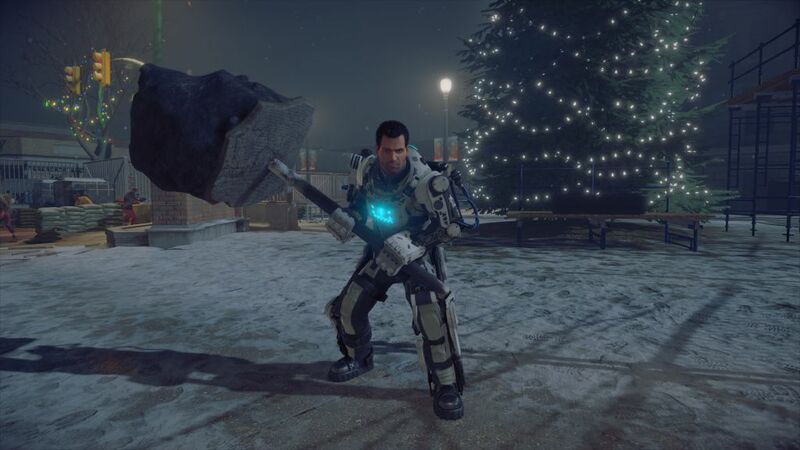 Despite my long laundry list of complaints, Dead Rising 4 isn’t exactly a bad game, but it’s lost a lot of the franchise’s feel and personality in the name of drawing in a new, more mainstream audience that may not exist. 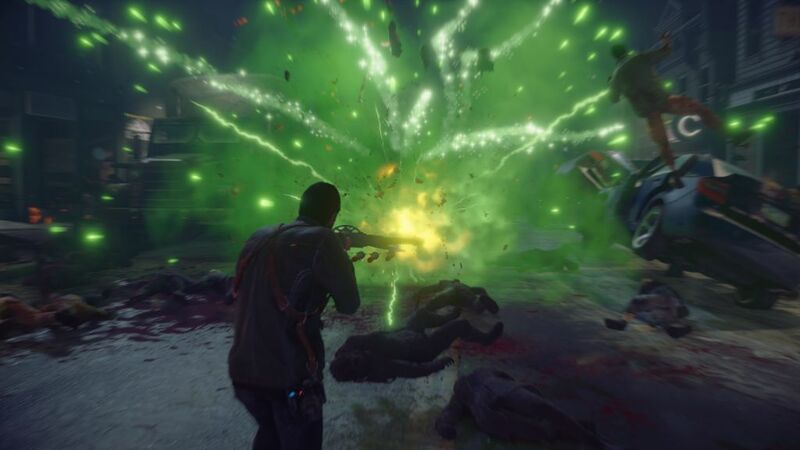 It perpetuates the mistakes of Dead Rising 3–a lack of challenge, too much convenience for the player, a map that might actually be a little too big–and adds some of its own by putting zero effort into everything other than the story mode. I suspect that what may have happened here was that the game changed directions once it was already in development, due to executive demands or new personnel. There are a few telltale signs of this throughout DR4‘s running time, such as a big plot hole about two-thirds of the way through, a general lack of polish, the pointlessness of collecting scrap, and the poor implementation of Exo Suits. I could imagine someone picking this up and enjoying it, but as a fan of the franchise, it leaves me cold. 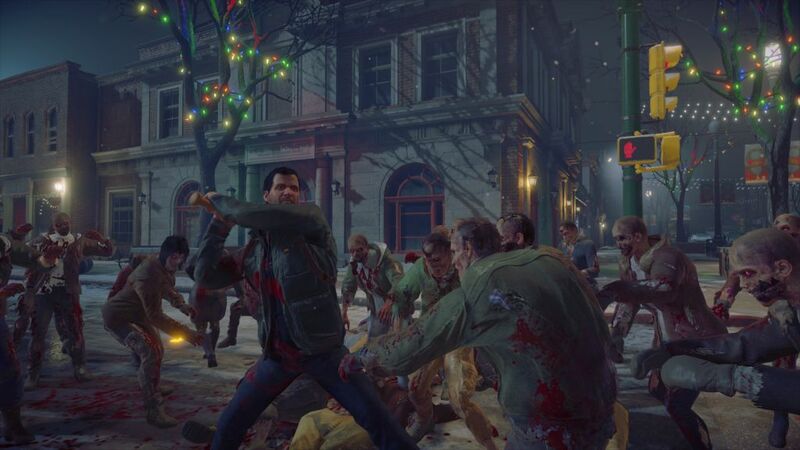 Dead Rising 4‘s director has said that Capcom Vancouver wants to make more Dead Rising games after this one. If they do, I’d hope they take more cues from the original games, rather than trying to water down the final product to appease a mainstream audience. 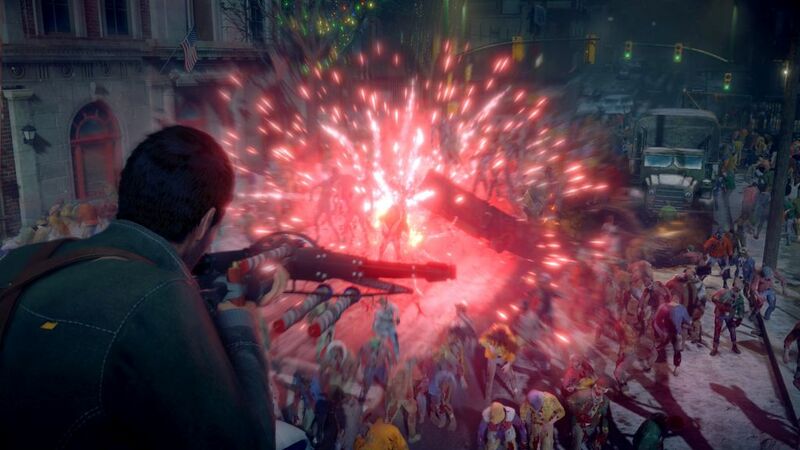 Dead Rising was never much of an outright power fantasy, and that’s most of what DR4 is: it’s you running amok as an alpha predator, in a town full of zombies and hapless survivors, free to do what you want because nothing can stop you. There’s some fun to be had here, but if you’re attracted to the game by the Dead Rising label, that really isn’t what you’re getting when you open the box. 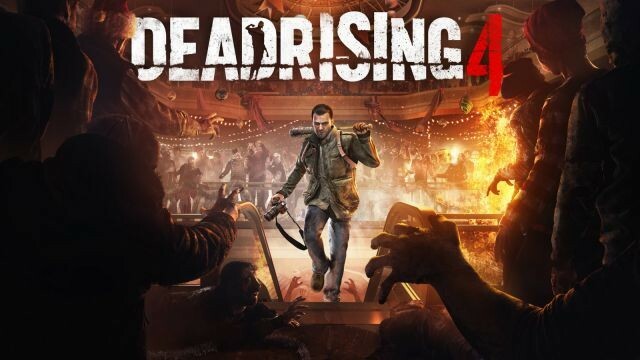 This review is based on a digital copy of Dead Rising 4 for the Xbox One provided by Microsoft Studios.